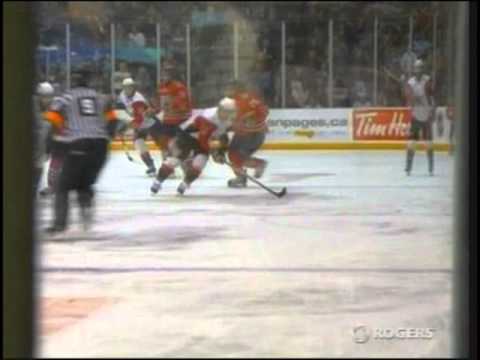 Niagara IceDogs MEGAMIX - 2007 highlights! 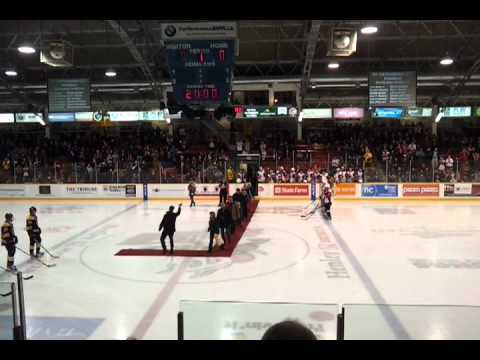 TVCogeco does a great video tribute to the Jack Gatecliffe Arena (formerly the Garden City Arena) in St. Catharines where the OHL's Niagara IceDogs played from 2007-2014. It opened in 1938. 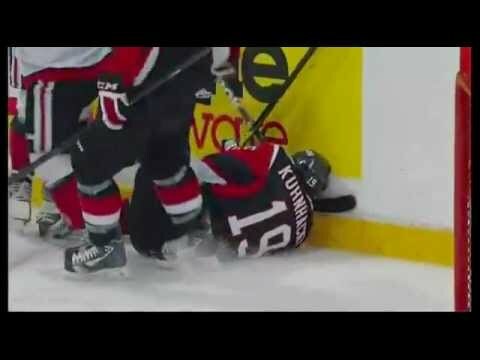 OHL goaltender scores goal in playoff game! 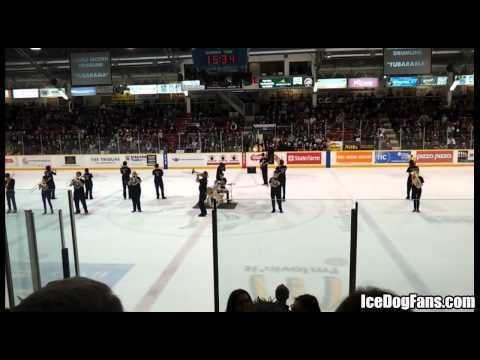 DrumLine performs on the ice during intermission, 2012 playoffs. 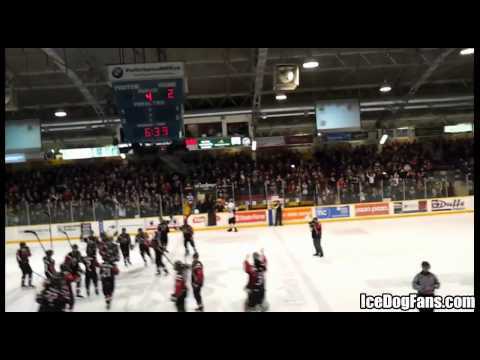 Shot from the stands in the last minute as the Niagara IceDogs defeat the Oshawa Generals during 2012 playoffs. Laura Secord Drumline band in the stands. 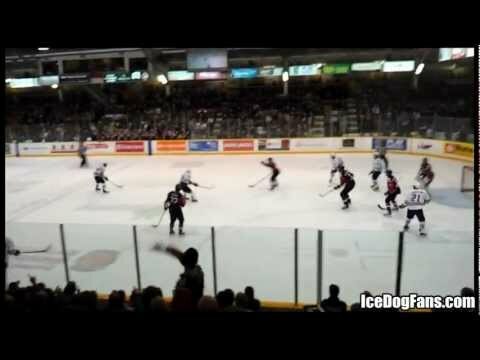 After an opponent team's goal is announced on the PA, Niagara IceDog fans energetically yell out "WHO CARES!" when the announcement is finished. 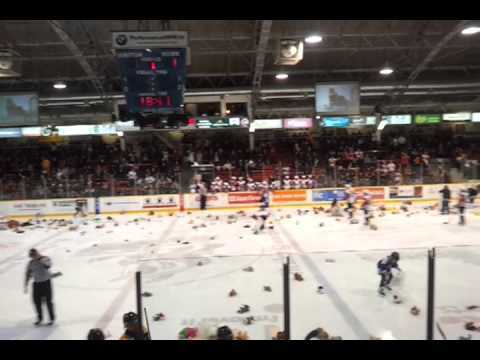 Stuffed animals are tossed onto the ice for charity after IceDogs' first goal of the game. Shot from the stands. 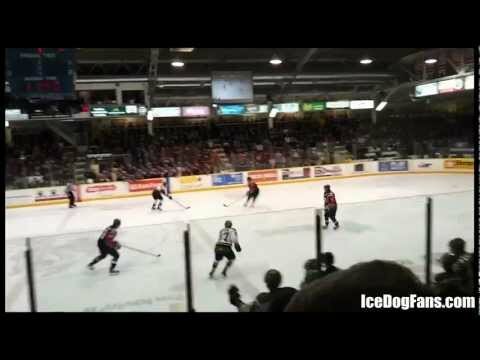 Darren Archibald scores a fancy goal, game 4 / round 2 of OHL playoffs - Niagara IceDogs @ Oshawa Generals. apr.14, 2011. The Laura Secord Secondary School drum band pounds away getting the crowd rocked pre-game, Niagara IceDogs vs. Brampton Batallion. 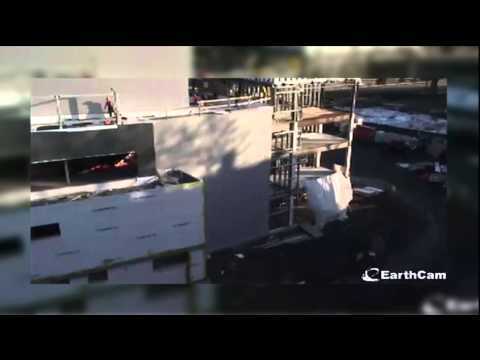 March 24, 2011 in St. Catharines. Alex Friesen of the Niagara IceDogs shows great determination in driving to the net. Niagara IceDogs vs. Plymouth Whaylers, Oct.28, 2010. Ryan Strome of the Niagara IceDogs scores a BEAUTY against Plymouth Whalers, Oct.28, 2010. The Niagara IceDogs slip past the Ottawa 67's with a 3-2 victory. Almost a full out team brawl at the end of the hockey game in Niagara. IceDogs won the game 6-5 after going down early in the 1st period 3-0. 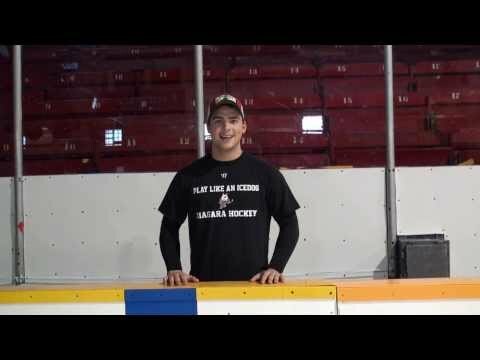 Jesse Graham interview, Sep.24, 2010. Jesse Graham of the Niagara IceDogs is interviewed during 1st intermission vs. Sudbury Wolves. 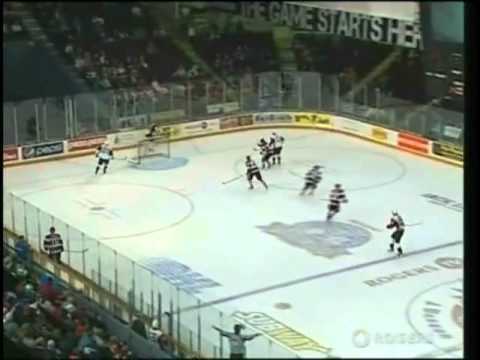 Niagara IceDogs score 6 goals vs. Sudbury, Sep.24, 2010. 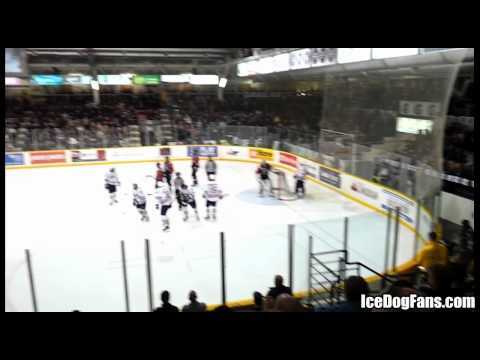 6-2 win for the Dogs in the 2010-11 season opener in Sudbury. 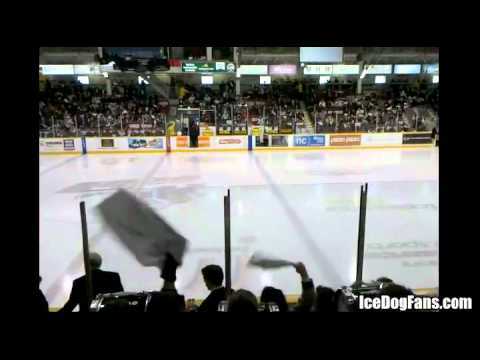 A preview of the 2010/11 IceDogs hockey season by the OHL Tonight guys. 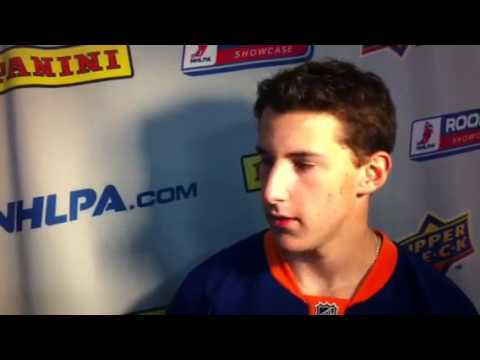 Ryan Strome natural hat-trick + goals by Doan and Grondvaldt, + Strome interview.